The top Benjamin Moore paints to choose from. Choosing a paint color can be an overwhelming process. From the different brands to all the various shades of blue, how can one choose the best color that will create the mood they desire in their living rooms? Here are just a few of the best Benjamin Moore paint colors and the vibe that they give off for you to choose from. If you’re looking to create a clean living space with white walls, then this paint is sure to do the trick. This beautiful color is a white without any hint of peach or yellow tones. This pure white is sure to give your living room a calm and clean feel. If you’re someone who loves earthy tones, then this blue hue may be the treasure you’ve been searching for. You could paint the whole room or just the floor, this paint will give you the feeling of baby blue skies and cotton candy clouds. 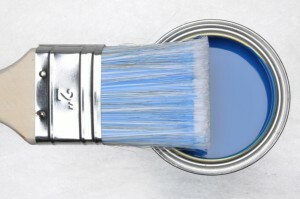 Just remember that painting a north facing room in any blue hue will make it chillier, so maybe stick to any non-north facing rooms when using this luscious paint. Oh the beauty that is turquoise. It is a joyful color that brings happiness into any room. Living rooms are known to be places where families lounge around and by painting your living room in this magnificent color, you are guaranteed to have feel good moments with your family and truly enjoy your surroundings. Blue is the hue for the serenest of living rooms. This color is right in the middle of the blue spectrum. It is the goldilocks of blues if you will, not too light, not too dark. A blue living room is a glamorous expression of your aesthetic. Accompanied with some plush velvet furniture, your living room will exude sophistication.